Is it really true that cyber security can actually be a time-saver instead of a time-waster? I bet that you’ve always believed that cyber security was just a big hassle that you never had the time to get around to. Maybe you didn’t even want to do it (and no one’s judging you for that). The need for to secure and protect everything that’s connected to the Internet has become vital with billions of devices used by people all around the world, in homes, hospitals, schools, banks, airports, etc. This list of helpful tips will not tell you to go there and buy that to be 100% safe online, no matter what gadgets you use. That’s because security is more than buying technology. It’s about creating a system that works for you, with the capability to protect your data and shield you from advanced forms of cyber attacks. If you’re not obsessed with keeping your computer desktop icon-free or having everything neatly organized, then this is a chance to clean up your PC. Before starting to install anything new, review the software you’re currently using and see what you can uninstall. If you don’t fully trust a piece of software and it isn’t vital for you, maybe it’s time to let it go. The fewer applications you have installed, the less vulnerable you are to security vulnerabilities that cyber criminals can exploit. Getting organized also means that you will spend less time looking for the apps you need and that your computer will run faster and smoother. How to save time: use a reputed Windows registry cleaning software scan for software, evaluate it and clean it automatically. Additionally, you’ll also have a chance to see how the software you have installed is using your resources and eliminate any bloatware that’s making your PC run slower than it should. Install an automatic patching tool for your system, that will update your vulnerable applications to the latest versions, thus closing vulnerabilities on your PC. Over 70% of web based attacks target a vulnerability on your computer, but you don’t need an assistant to assign your updates to. Just install the software and let it do all the work. You’ll still have to install Windows system updates manually (please don’t ignore them! ), but everything else can be handled automatically. How to save time: this one’s a no-brainer! Don’t work for tech, let the tech work for you. Not having to handle all those updated will mean you’ll be more effective, and, most importantly, more protected! 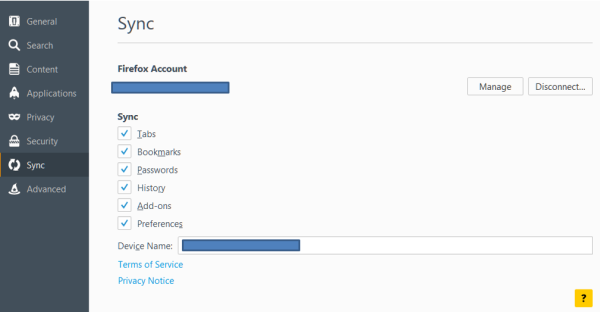 Your cloud account, where you store personal or professional information (or both). This year [i.e. 2015] is expected to see 42.8 million cyberattacks, roughly 117,339 attacks each day, a study from consulting firm PricewaterhouseCoopers found. That’s because advanced cyber attacks have a very particular set of characteristics that make them especially effective and dangerous. a password manager application (here’s how to manage your credentials like an expert in 8 easy-to-follow steps). There are both free and paid alternatives to these products, but we highly recommend you invest in the paid ones for a simple reason: the technology and intelligence behind the paid products will always be more reliable than the ones embedded in a free product. This may not always be obvious to someone outside the security industry, so that’s why we’re sharing this top insider tip. How to save time: Once set up, your cyber security measures will constantly protect you, no matter where you are. You won’t have to worry that you’re using the Wi-Fi connection at the office or at home (try to avoid using public hotspots as much as possible), you’ll know that dangerous web destinations (websites, banners, etc.) are filtered and blocked, and that your confidential data (personal, financial, etc.) is protected. Avoiding a cyber attack means you won’t have to change all your passwords, evaluate the losses, contact your bank to change your credentials, explain why you leaked critical work related information to your boss or, worse, why your entire hard drive is encrypted and you can’t access any of your data (in the case of a ransomware infection – check out what ransomware is and how to avoid it). What would you do if you’d be forced to pay $500 to get access to your data again? Becoming a victim of cyber crime is disruptive and dangerous, and it can also have consequences that are difficult to mitigate at a personal and professional level. As the number of Internet connected devices that you own will increase (the Internet of Things is already here), so will the odds of you becoming a target for cyber criminals. Just like the doctor says: it’s better (and wiser) to prevent than to treat. Setting up your own protection system now will save you time, money and energy. Tweaking over time will improve it, but your efforts will be repaid when you’ll see it work for you. Feel free to pat yourself on the back for having taken this advice seriously. Since you’ve already organized your software, it’s time to see what else you can do protect your data asides from using the right cyber security tools. Choosing a back-up software that will automatically back-up your data according to a schedule you can define. Just follow the steps in this actionable guide and you’ll have one more reason to breathe easy: How to back-up your computer – the best advice in one place. How to save time: Keep your data safe in case anything should happen to your PC and get easy access to it anytime you need it – all automatically handled, with zero hassle. The browser is, by far, the favorite method that cyber criminals use to infect victims worldwide. So that’s a very good reason to tweak your settings to make sure that you’re protected while working or just browsing the web for fun. How to save time: implement the tips listed in this Ultimate Guide to Secure Online Browsing for best results. It only takes a few minutes and will save you a lot of headaches, like your browsing data being collected by malicious add-ons or malware trying to infect your PC through drive-by downloads. 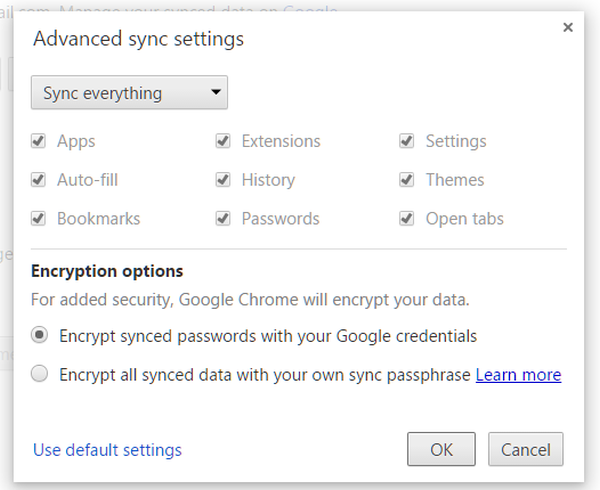 Once set up, you can sync your preferences and settings into the cloud, by creating a Firefox account or logging into your Google account on Chrome. Each time you install a browser, you’ll be able to enjoy your privacy and security settings automatically. Easy peasy! Tools and settings are good, but they can’t be as effective without the human element. Context aware security is the most powerful way you can protect yourself. Partly, this is ensured by using the right mix of cyber security tools, but user behavior plays a huge role. Knowing where to click and where not click, what security elements to look for in an online shop, how to identify phishing attempts and how to detect if your computer may be infected – those are the skills that only cyber security education can endow you with. By taking a course such as Cyber Security for Beginners (which happens to be FREE), you’ll be able to protect yourself everywhere, either on your own devices, or while using gadgets other than your own. How to save time: Cyber security will become an essential skill for everyone in the near future, when everything will most likely be connected and, consequently, vulnerable to malicious attacks. By acquiring the right skills now, it will be easier for you to understand how cyber criminals and their tactics evolve over time. This will help you have a competitive advantage, keep protected from cyber threats, both at home and at work, and teach your children and loved ones about it as well. If their data leaks, you may be inadvertently affected, so it’s important to know how to handle such an issue, because most people will panic and have emotional responses to a situation that should be handled rationally and carefully. The sooner you begin investing in cyber security tools and knowledge, the better chances you have at surviving a cyber attack or its consequences, either targeting you directly or a company that manages and stores your data. Hopefully, you’ll give these pieces of advice a try and see for yourself that cyber security doesn’t have to be a hassle and that it can actually save you time and money after the initial setup. Unfortunately, we are all targets for cyber criminals, but knowledge can become our competitive advantage. We aim to help you gain this advantage with every post and the Cyber Security for Beginners course and if you have any specific cyber security issue you need help with, just let us know.